This warehouse was then cleared out in 2009 and transformed to become an art gallery surrounded by 12 working artist studios called The S.P.A.C.E. (Soda Plant Artist Collective Environment). The Backspace Gallery was added on in 2010, bringing the total number of studios to 18, and doubling the amount of exhibition space available. The S.P.A.C.E. 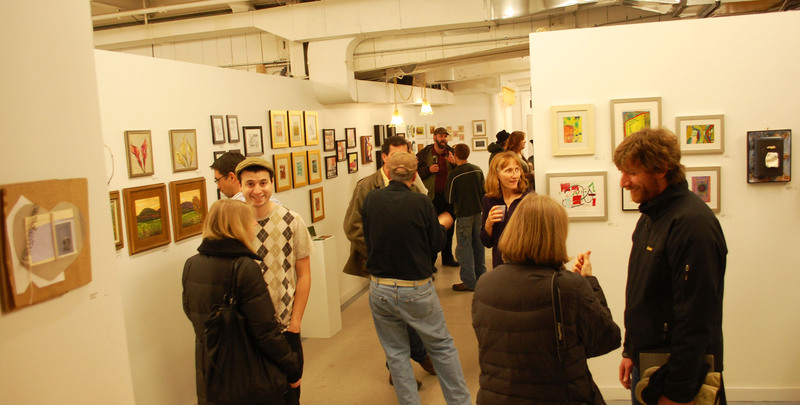 and Backspace Galleries now host monthly exhibits, with opening receptions during First Friday Art Walks from 5 – 9pm. Thanks for your interest, we hope to see or hear from you soon!